Truck and Car Accident Wrongful Death & Personal Injury Lawyers for Downtown Los Angeles, California! 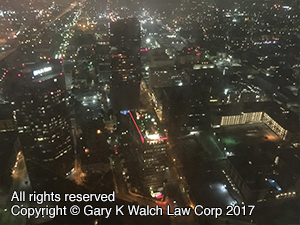 Downtown L.A. (DTLA), California Wrongful Death and Personal Injury Lawyers with Over 40 Years of Experience in Handling Collisions with a Greater Than 95% Success Rate! Truck and car accidents in downtown Los Angeles, also referred to as L.A. or DTLA, cause catastrophic injuries and sometimes deaths resulting in wrongful death accident claims. With more than 40 years of experience in handling truck, auto and motorcycle accident claims in Downtown Los Angeles, CA, we are a team of expert attorneys with a better than 95% success rate. Raised near downtown L.A., our senior accident lawyers are very familiar with downtown L.A., and all of Los Angeles, Calif.
Our accident lawyers and law offices fight to obtain maximum monetary compensation for our clients while assisting them with car damage repair, finding doctors and medical care, helping them get to their doctor appointments when needed and with all the complex paperwork and procedures, including time deadlines and insurance procedures, involved in personal injury and wrongful death claims. Call us at 818-222-3400 or 1.866 INJURY 2 (after hours dial “1”) for your FREE & CONFIDENTIAL consultation and case evaluation. Feel free to click here to reach us 24/7 for your FREE consultation. Vehicle Repairs: Downtown Los Angeles, CA accidents can result in major damages to your truck, car or other motor vehicles, calling for repairs and sometimes replacement if the damaged truck or car is a total loss. Knowing such property damage occurs, our attorneys and law offices know how to help our clients with vehicle repairs, replacement, towing, storage, and rental and free loan trucks and cars. Medical Care: Truck accidents in Downtown L.A., California can leave you seriously injured. Injury lawyers and law offices find doctors and medical specialists, like internists, orthopedic surgeons, neurologists, dentists, psychologists, physical therapists, x-rays and MRI scans, and prescription medications, who provide the necessary treatment and therapy. These medical professionals often wait for payment until your claim is resolved so you need not worry about finding money now or even annoying co-payments or deductibles! Cash Advances/Emergency Loans: In many instances, Downtown LA, Calif truck collisions may have a harsh impact on your financial state. The situation turns worse over time as medical bills and other similar expenses mount up, sometimes with a corresponding loss of wages and income. However, our expert lawyers and law offices often can assist you in receiving loans and advances. Transportation to Doctor: Our accident injury lawyers help finding you doctors and medical care, and arranging appointments; and when needed helping you also find transportation so you can keep those appointments. If you fell victim to a Downtown L.A., Calif truck or car accident, call us now for your FREE & CONFIDENTIAL wrongful death or personal injury consultation and evaluation. Simply use our easy fill-in the blank contact form 24/7. Additionally, please see our lawyer profiles and learn about our expert wrongful death and personal injury attorneys. Further, know about the formalities arising in Downtown Los Angeles, CA truck accident claims by seeing our Truck Injury Accident Web Site and for more specific FREE information about your own case just call us now at 818-222-3400 or 1.866 INJURY 2 (after hours dial “1”) for FREE counseling on your particular truck accident injury or wrongful death accident case. Remember, we offer absolutely FREE consultation on Downtown LA personal injury or wrongful death claims and we charge NO fee until you WIN! That’s right – we work on a contingency fee which means NO fee until you WIN! And we handle cases not only in Los Angeles but throughout all of California for over 40 years! Downtown Los Angeles is the central business district of Los Angeles City, California. The neighboring regions of Downtown Los Angeles include Chinatown to the northeast, Echo Park to the north and northwest, Vernon to the south, Boyle Heights to the east, Pico-Union and Westlake to the west, Historic South Central and University Park with the University of Southern California (USC) and the Los Angeles Coliseum (site at various times of the Olympics, UCLA, USC, Rams and Raiders football) to the southwest. 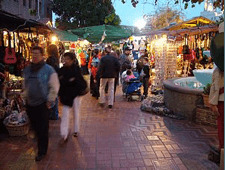 Olvera Street in Old Downtown L.A,. Calif. Besides this, Downtown LA is bounded on the south by the Los Angeles city line with Vernon, on the west by Beaudry Avenue or the 110 Freeway, featuring the famous entire Four Level Interchange with Highway 101, on the southwest by East Washington Boulevard, on the east by the Los Angeles River, and on the northeast by Cesar Chavez Avenue. Within the neighborhood of Downtown LA lie smaller areas including Little Tokyo, China Town, Olvera Street, South Park, Financial District, Bunker Hill, Old Bank District, Toy District, Skid Row, Old Bank District, and Wholesale District or Warehouse District. 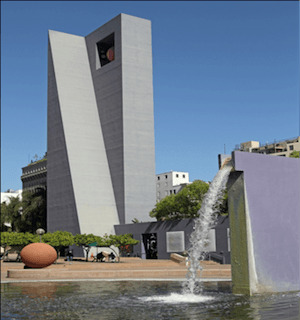 Also located in Downtown L.A. are the music center and the Los Angeles Superior Courthouse (Central Distrust). Downtown Los Angeles is also very close to Dodger Stadium. 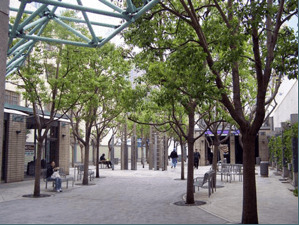 Downtown L.A., California is home to a number of public parks, namely Biddy Mason Park, Pershing Square and Maguire Gardens, among others. Received Award for Personal Injury Law Firm of Year in 2011 and 2014. Served at Civil Litigation-Tort Section of Westwood Bar Association in the capacity of Chairperson for West Los Angeles, California. Over a 4-decade-long membership with the California State Bar. Received Award for Personal Injury Attorney of Year in 2010 and 2014. If you were injured or a family member killed, please contact our Downtown L.A, California wrongful death and personal injury lawyers now for your FREE & CONFIDENTIAL consultation and case evaluation. Simply fill out the information in our simple contact form and fill us in on your Downtown L.A., CA truck, car or motorcycle personal injury collision accident case. Besides a FREE consultation, we work on a contingency fee. We don’t charge a penny until You WIN! We fight to recover maximum settlements for our clients and our fee is paid only on winning the Downtown L.A., Los Angeles and California truck accident injury case. We handle injury accident cases all over Los Angeles and throughout all of California.